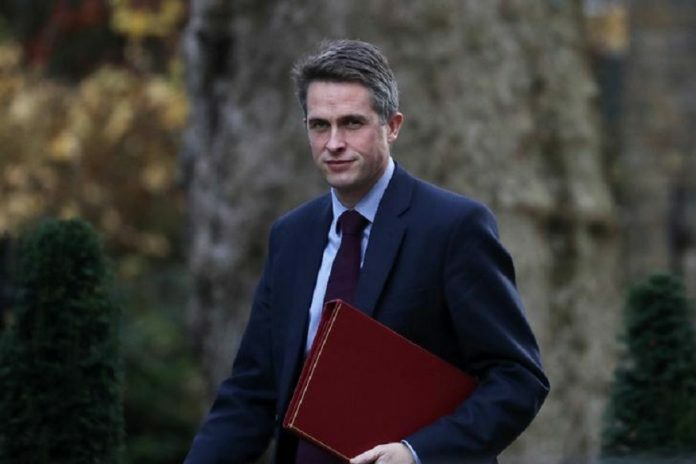 Britain’s Defence Minister Gavin Williamson on Monday called for closer ties with India as the UK prepares to leave the European Union (EU) next month. In a speech on modernising the UK’s armed forces at the Royal United Service Institute (RUSI) in London, Williamson said plans for a “Global Britain” involve using the country’s capabilities to strengthen its global presence and taking action to shore up the worldwide system of rules and standards. “Brexit has brought us to a moment. A great moment in our history. A moment when we must strengthen our global presence, enhance our lethality, and increase our mass,” said Williamson. “So, as well as our relationships with Europe, we need to build on our established relationship with the United States, Australia, New Zealand and Canada as part of the Five Eyes…With other ASEAN nations, with Japan, the Republic of Korea and India,” he said. The enhanced global engagement is not a “reflex reaction” to leaving the EU but about building a “permanent presence”, he added. “Today, Russia is resurgent – rebuilding its military arsenal and seeking to bring the independent countries of the former Soviet Union, like Georgia and Ukraine, back into its orbit. All the while, China is developing its modern military capability and its commercial power,” he warned. As part of investment plans for the armed forces, the Secretary of State for Defence revealed that the UK would be making a “significant additional investment” on the 1.9-billion pounds being spent on cyber warfare capabilities. “It will give us extra money to protect our network resilience from online attacks,” he said. In reference to threats from terrorist groups, the minister revealed that the country’s Royal Air Force (RAF) would be doubling its intelligence, surveillance and reconnaissance (ISR) capability in order to be able identify and neutralise such targets far faster. “The Venom kinetic strike capability will mean those who wish to do us harm have more to fear,” he said. The speech, seen as a pre-Brexit intervention on highlighting the country’s military capabilities, outlined some of the plans for the 1.8-billion pounds in extra funding the defence minister was able to secure from the UK Treasury department last year. “It will not always be the role of the traditional Western powers to act as a global policeman but nor can we walk-on-by when others are in need. To talk, but fail to act, risks our nation being seen as nothing more than a paper tiger,” he said.